The epicardium or visceral pericardium is the outermost layer of the wall of the heart. It is a thin, transparent layer. It is composed of serous tissue along with a type of epithelial tissue called mesothelium. It can also be called the serous pericardium of the heart due to its serous nature. The epicardium is primarily made up of loose connective tissue, along with elastic fibers and adipose tissue. 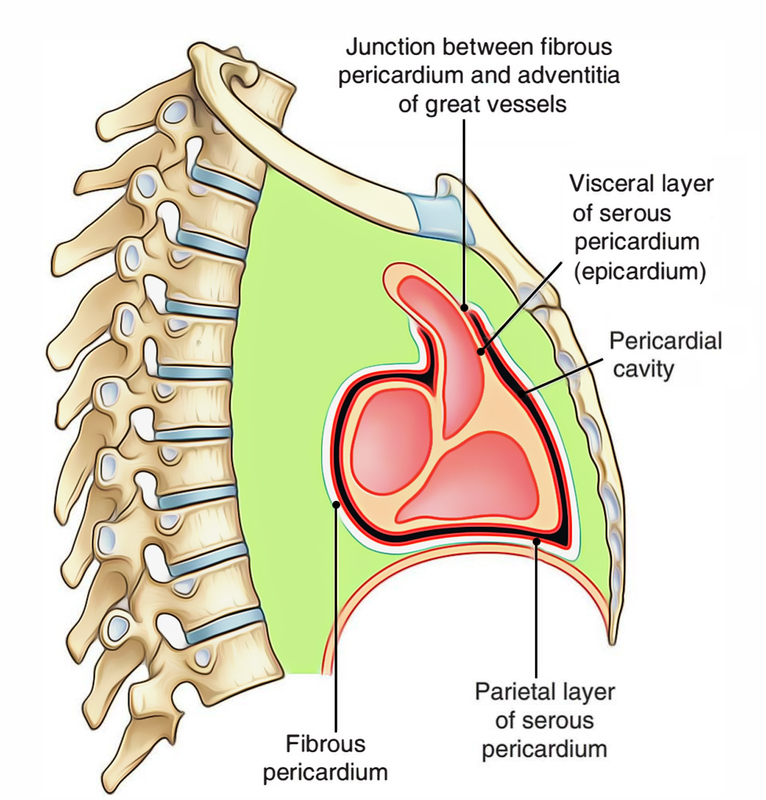 A space referred to as the pericardial cavity is located in the middle of the epicardium of the heart and the serous pericardium of the pericardial sac. This cavity contains a fluid known as the pericardial fluid, which decreases friction and erosion of tissue among these membranes as the heart enlarges and contracts at the time of cardiac cycle. This epicardium can also be referred to as the visceral peritoneum, because the outermost layer of the heart is the outermost layer of an organ of the body. The epicardium protects the inner heart layers. It assists in the production of pericardial fluid. This fluid fills the pericardial cavity and helps to reduce friction between pericardial membranes. The coronary blood vessels are also found in this heart layer, which supply the heart wall with blood. The inner layer of the epicardium connects with the myocardium.